It may not be the freshest smelling gym, but there’s a lot of good boxing to be had amidst the funk. 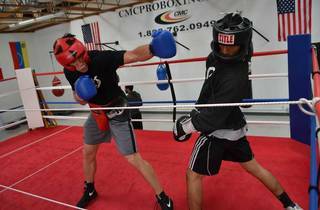 Pros work out alongside civilians and the camaraderie is palpable at this friendly, non-intimidating place that is serious about training exactly the way a professional boxer would. The group classes have a different focus every day: conditioning, ring/bag work, etc. But what really justifies the cost is that membership comes with two private training sessions a month to help you create a truly personalized fitness regimen. Pricing: Membership only. $195/month includes two 30-minute private training sessions, unlimited classes, and access to the gym. First one-on-one training session and first group class are free.